Fossil vertebra of Capitalsaurus potens; official dinosaur fossil of the District of Columbia. Photo by Charles W. Gilmore /Wikipedia (Public Domain Image). 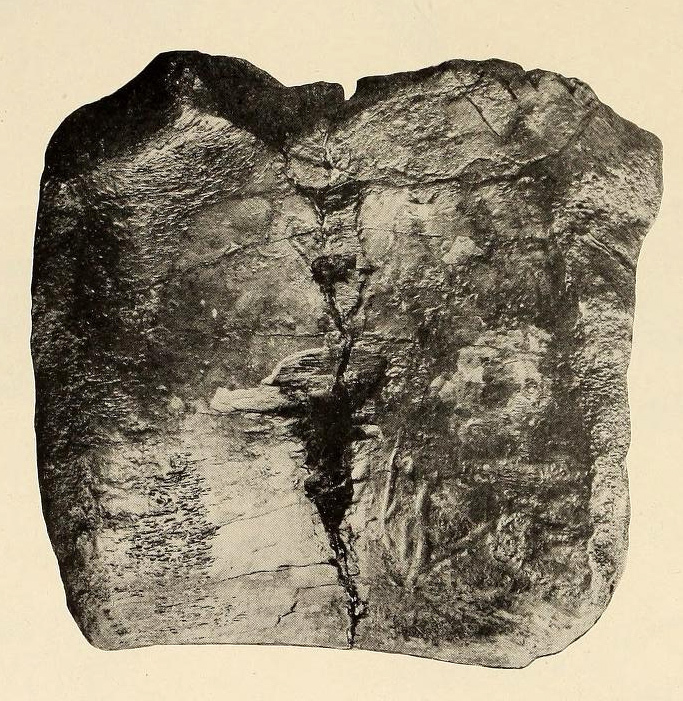 A single fossilized dinosaur vertebra was discovered In 1898 during sewer work at 1st and F Streets. Researchers at the Smithsonian concluded this fossil was unique - it didn't match any other specimen known at that time, but was thought to possibly be an ancestor of the Tyrannosaurus Rex. A CEREMONIAL RESOLUTION (14-5) IN THE COUNCIL OF THE DISTRICT OF COLUMBIA February 6, 2001 To recognize the dinosaur fossil named the "Capitalsaurus", that has been declared an official symbol of the District of Columbia, and to declare January 28, 2001 as "Capitalsaurus Day" in the District of Columbia. 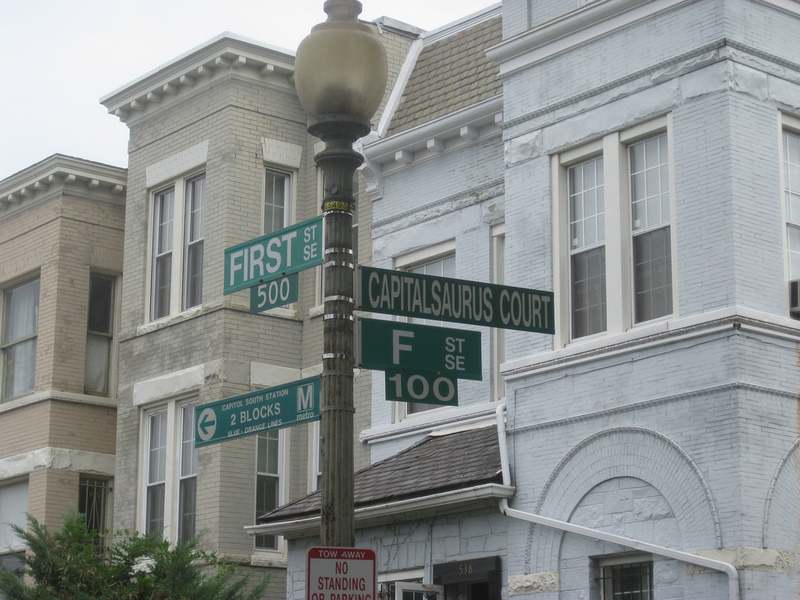 WHEREAS, District of Columbia elementary school students at the Smothers Elementary School, in conjunction with the Dinosaur Fund, spearheaded a campaign to recognize "Capitalsaurus;"
WHEREAS, "Capitalsaurus Court", the 100 block of "F Street, S.E., and discovery site of the "Capitalsaurus", was formally named and dedicated on January 28, 2000. RESOLVED, BY THE COUNCIL OF THE DISTRICT OF COLUMBIA, That this resolution may be cited as the "Capitalsaurus Day Resolution of 2001." Sec. 2. The Council of the District of Columbia declares January 28, 2001 as "Capitalsaurus Day" in the District of Columbia. Capitolsaurus Court; 1st and F, SE, Washington, D.C. Photo by Tim Krepp/Flickr (use permitted with attribution).